Today only, while supplies last, save up to 30% on Hasbro Games, Play-Doh, and more. One favorite is the Baby Alive Super Snacks Snackin’ Luke on sale for $11.99 (Retail $21.99). Choose from Brunette, Blonde or African American at this price. It’s a boy! 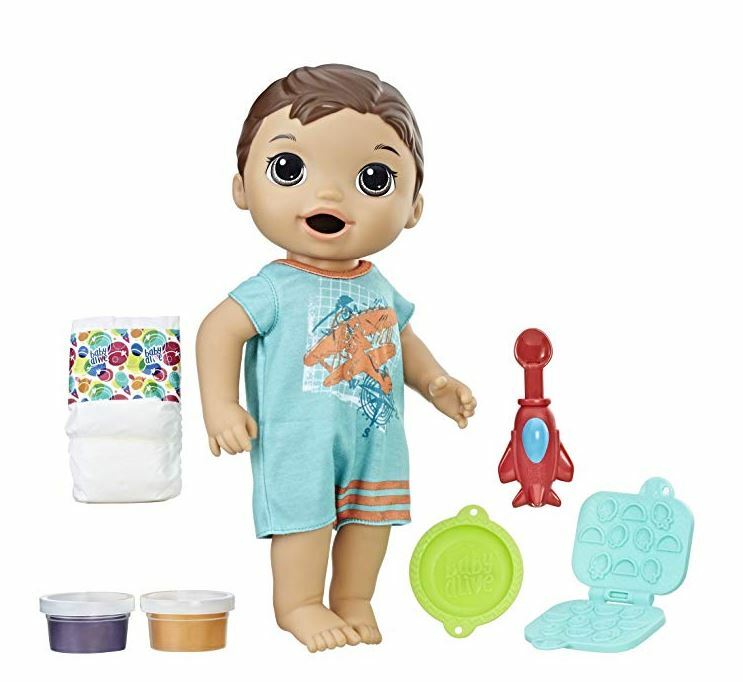 The first boy in the Baby Alive Super Snacks line, the Snackin’ Luke doll is an adorably hungry little guy who loves to spend snack time with his mommy or daddy! With the reusable solid doll food and snack shaper, kids can get creative and make different kinds of yummy-looking pretend food for him. After the pretend snacks are ready, kids can scoop them from his dish with his airplane spoon. . .girls and boys can even play airplane with the doll food and pretend it’s coming in for a landing. Uh oh! It looks like it’s time for a diaper change. Snackin’ Luke “poops” in his diaper! Kids can change his diaper and get him all cleaned up. Then, mommies and daddies can feed and love him some more!